It’s finally time that I can announce that I am Kentucky Monthly’s new home design blogger! It’s called “Homegrown Design”. This has been in the works for sometime, but is finally going! I am so excited about all of the new adventures that are coming our way! It seems everytime I turn around there’s a new something going on! It’s never boring, I can tell you that! The first introduction blog has only been up for like a couple of hours and I’ve already gotten questions of how we came up with the name “Homegrown Design.” Well the truth is, when I met with Amanda (KY Monthly’s Creative Director) about this, she was asking me about myself, and the phrase “homegrown” just came out. I am without a doubt my father’s son (if you only knew), my mother’s son (emotional at the drop of a hat), and my grandparents grandson! I see them in every part of me! With that said, I also believe that I am a product of my surrounding, not only how I was raised, but by the community, and ultimately the area that I lived in then and now where I live now currently. With more discussion I also realized that this was also how I viewed design. Where you live (your home), is ultimately reflected in you. I’ve always said “I ams what I ams.” When I was younger, I thought that I was a genius for coming up with that, but then at somepoint in elementary school I realized that I had heard it from Popeye. In 8th grade wrote an article about this philosophy that ended up getting published in some school magazine. I find it kind of ironic that sticking to that principal has now gotten me to this new adventure! I’ll be updating it weekly! So please check in whenever you think about it! And leave me a comment if you can and let me know what you think! 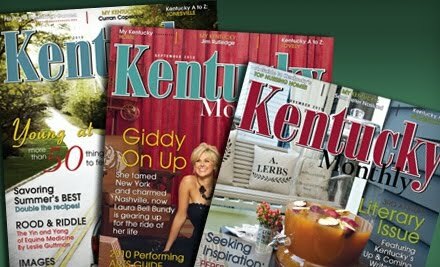 Also look in the Kentucky Monthly magazine starting in March to see editorials/stories from Stuart, Dwayne, and myself! Thankfully I have an editor who goes through and fixes grammar issues and all of that jazz. On here, you get the unedited version with typos and grammatical errors. I wonder why they thought that I needed an editor? Oh well it is what it is!